NYC flower shops love this unique bloom. The designer’s at Starbright are no exception. To see an example of a NYC Flower arrangement containing Ornithogalum see herein. These readily available blooms are a favored addition to Starbright’s weekly flowers in NYC program for their extra long vase-life. 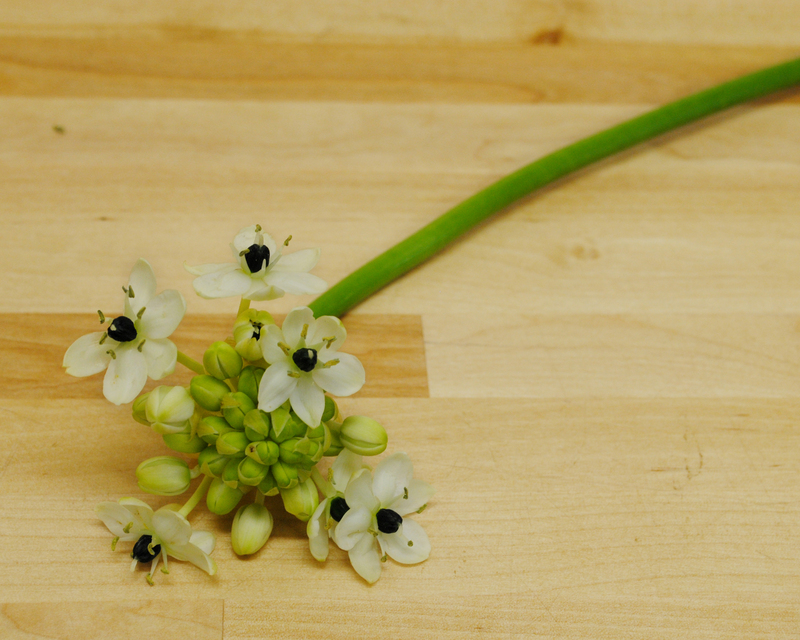 There are four common varieties of of ornithogalum that tend to show up in cut flower arrangements. The difference between these blooms is primarily in the shape of the flowering head. Conical and drooping or round like a button, most ornithogalum blooms have delicate white petals and a striking black center; the exception is ornithogalum dubium whose petals range from yellow to bright orange. Ornithogalum is native to Africa and Eurasia, but it’s long bloom-time and sweet smell have made it a garden favorite worldwide. However, with the help of pollinating bees, some of these garden varieties have crossed their fences and become invasive species. Ornithogalum arabicum is often referred to as star of Bethlehem or Arabian star flower. Because of this biblical association, many people prefer this blossom for it’s symbolic representation of purity, hope, and happiness. Ideal for a romantic bouquet, ornithogalum is favorite of old-time romantics. Some varieties of ornithogalum can be toxic if ingested and others may cause skin irritation if handled for prolonged periods of time. Be careful of this lovely bloom around children and animals. Popular names for ornithogalum include Star of Bethlehem, Nap at Noon, Snowdrop, Arabian Star Flower, Eleven-o’clock Lady, Sleepydick, Arabian Star Flowers. Next Next post: NYC Flowers for Men – We Like Them Too!